Daily Adventures of the SAHM: Jumpariffic birthday for my readers! Jumpariffic birthday for my readers! Just a quick blip of an update for my local readers! Ready to take your next birthday to the SKY? Skyzone Milwaukee offers several out of this world birthday packages. 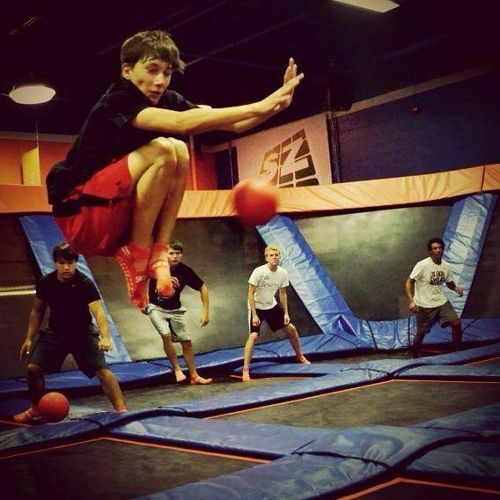 All party packages include 1 hour of jump time, 40 minutes in a private party room, skyzone host, pizza and drinks! There is no easier way to throw your kids best party ever. My readers save $5 Off Open Jump or $50 Off Birthday Party - Spend $20 and receive $5 off. Offer valid any day of the week! Or book your birthday party tues - thurs and receive $50 off your birthday package.